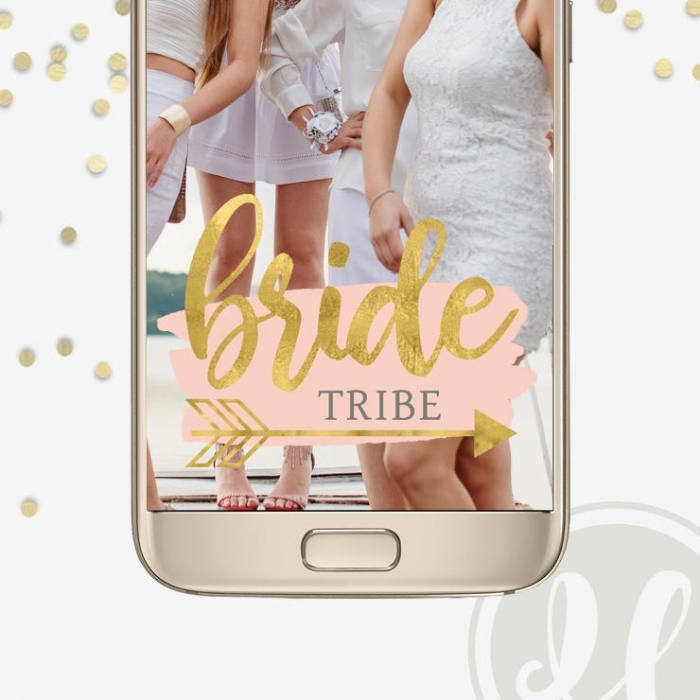 “Girl Squad”, “Bridal Party”, or even just “The Girls” are all excellent ways to describe the special women who will be surrounding you on your big day. 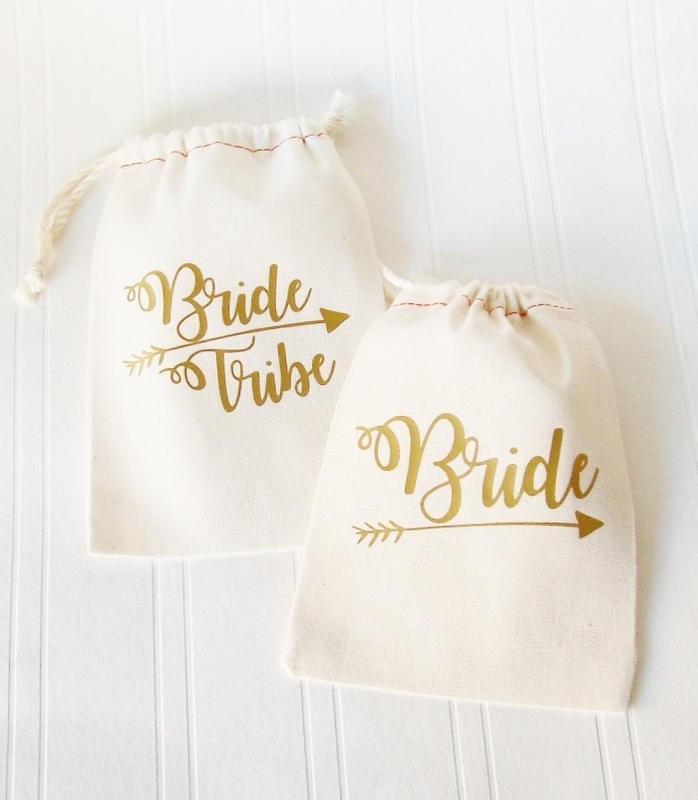 However, one of our favorite trending terms is “Bride Tribe” and we want to celebrate it by bringing you some amazing Etsy finds featuring this trending phrase! 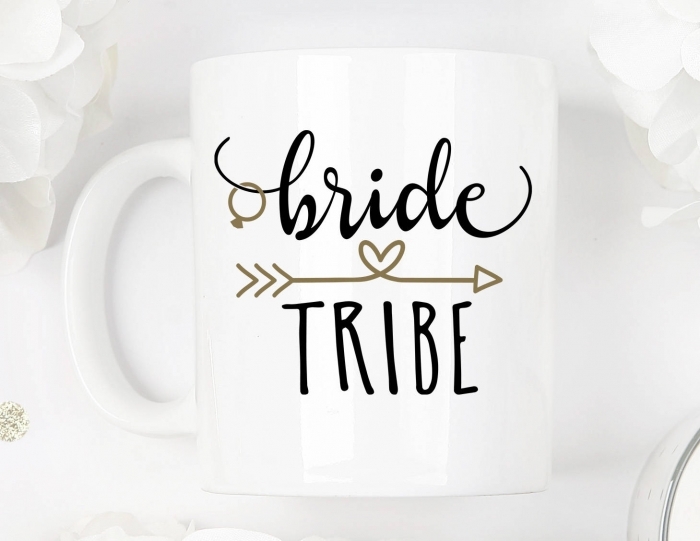 This sweet mug by LightandSweetGifts will be a lasting reminder of all the great memories had by your bride tribe member! 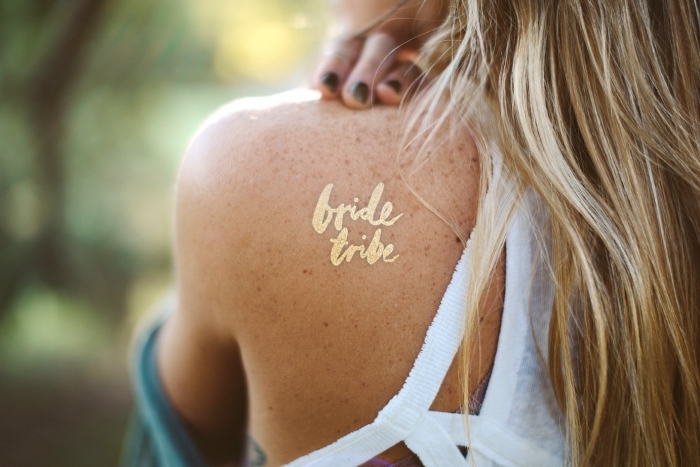 Temporary tattoos are all the rage, and this glowing gold tattoo by DaydreamPrints is a perfect party accessory. 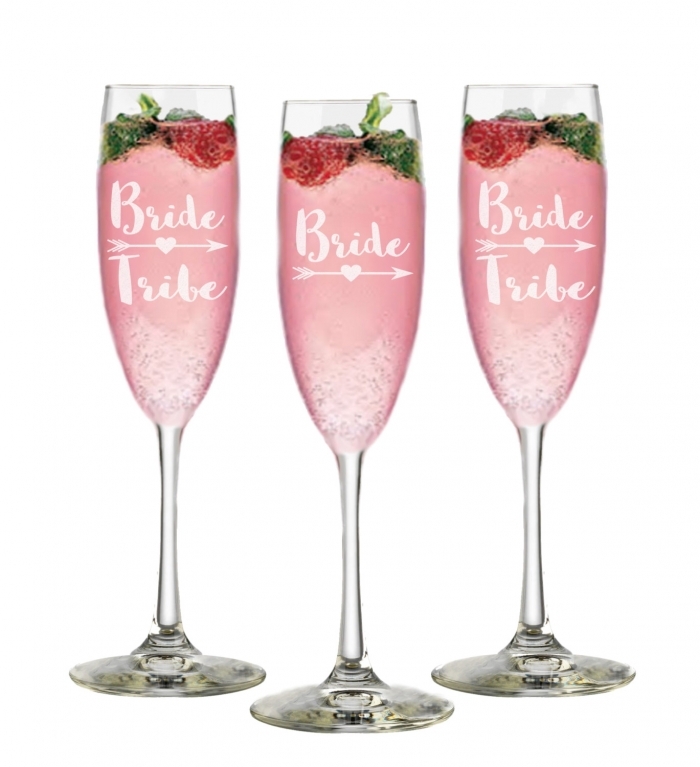 Sip away on these personalized champagne glasses by APersonalizedWedding! 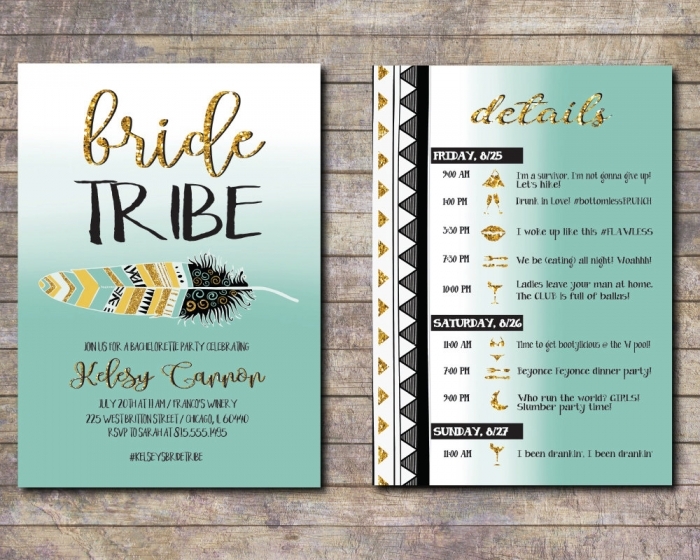 This tribal themed schedule by AWickedWhim will ensure that no tribe member will be late on your big day! 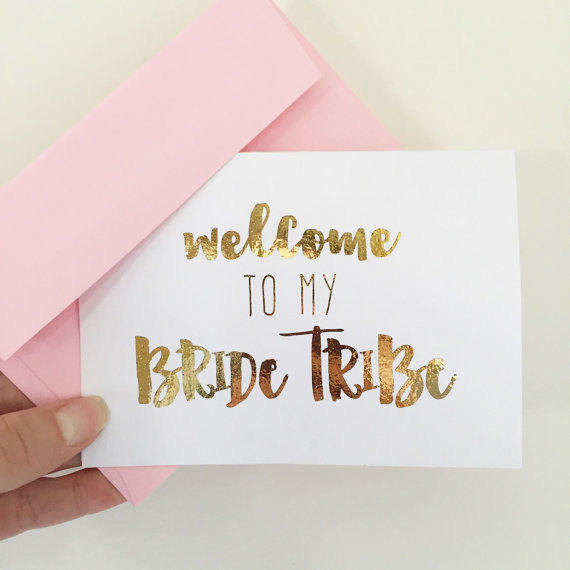 If this adorable pink and gold card by GiveItPretty doesn’t make your heart melt, we don’t know what will! 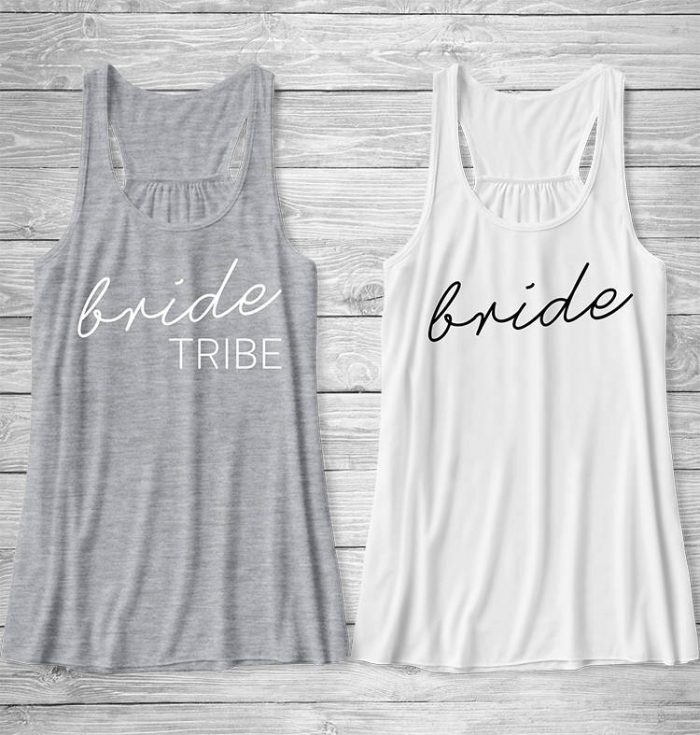 There’s no better way to state it than with these adorable tribe tanks by AAATees! Keep your make-up nearby and always fresh thanks to these cute bags by LuckyGirlHairTies. 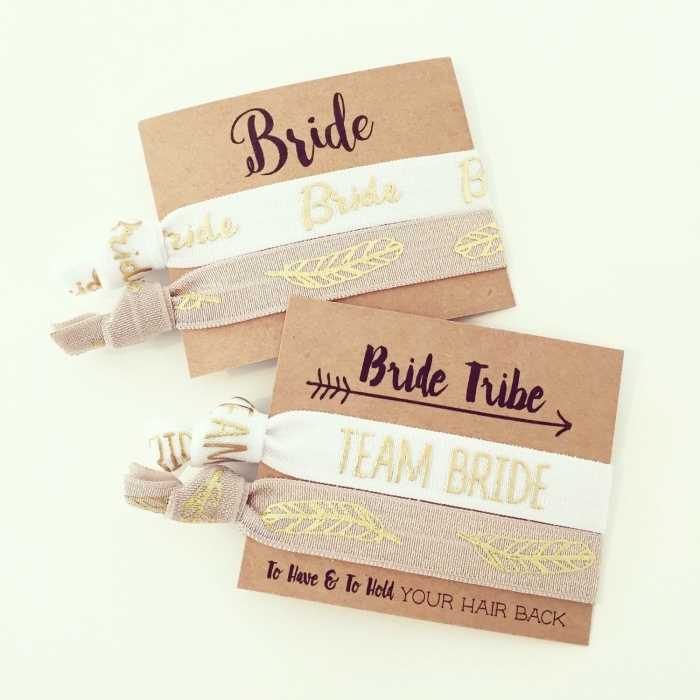 Parties can get out of hand, but we hope that these hair elastics by LoveMiaCo will only be used responsibly! For another cute elastic option LoveMiaCo also has these more subtle bands! 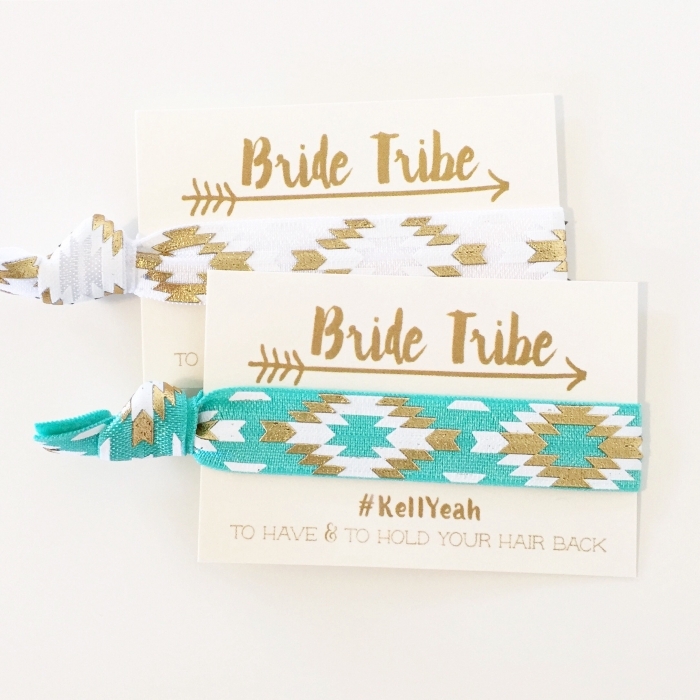 Have your tribe match on social media thanks to this tag by digiluxedesign! 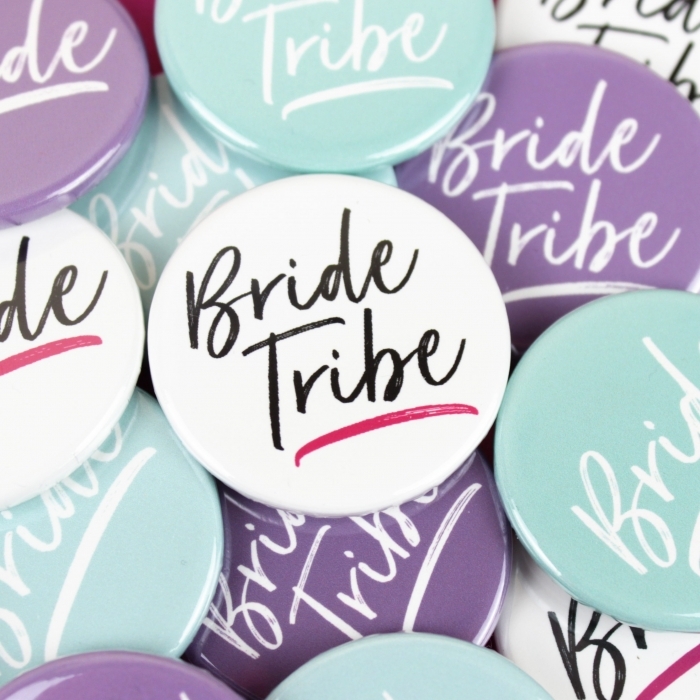 Lastly, wear that Bride Tribe title proudly with these bold pins by PurpleTreeDesignsUK!